When I think of Peter Rabbit, there are two images that come to mind. Peter Rabbit in his little blue jacket munching happily on long red radishes, and the image where Mr McGregor has used Peter’s coat and shoes as a scarecrow. 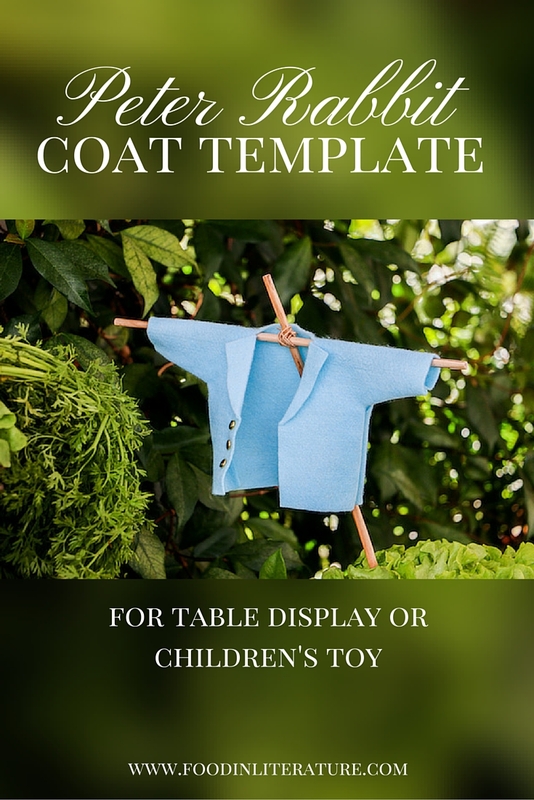 But Peter’s jacket hanging up in Mr McGregor’s garden is what inspired my Peter Rabbit Easter brunch table. I’ve made it incredibly simple to do, and if you don’t want, you don’t have to sew. 1 piece of baby blue felt. I used a 30cm by 30 cm square of felt for this. 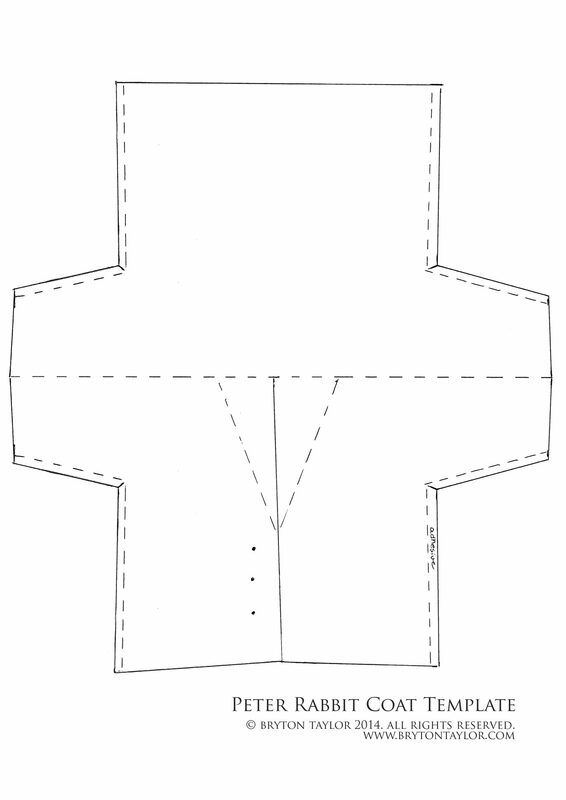 Cut out the Peter Rabbit jacket template, then trace it onto the felt. 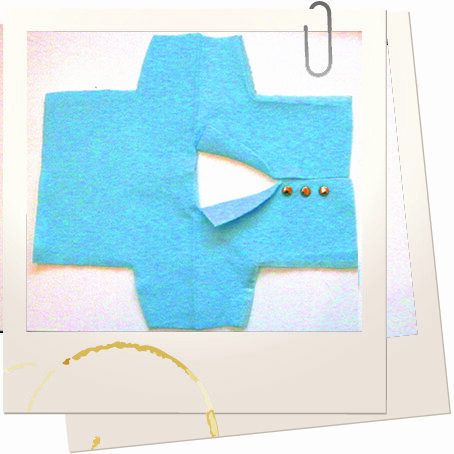 Push holes into felt where brads need to go using a needle or small scissors, then insert brads. Use fabric adhesive to close the sides as marked. To make the wood frame it hangs on, I used an elastic band to tie together two pieces of thin wood rods. You can use plain chop sticks as another option. It’s really that easy. Here’s a quick shot of the coat laying flat before being glued together. 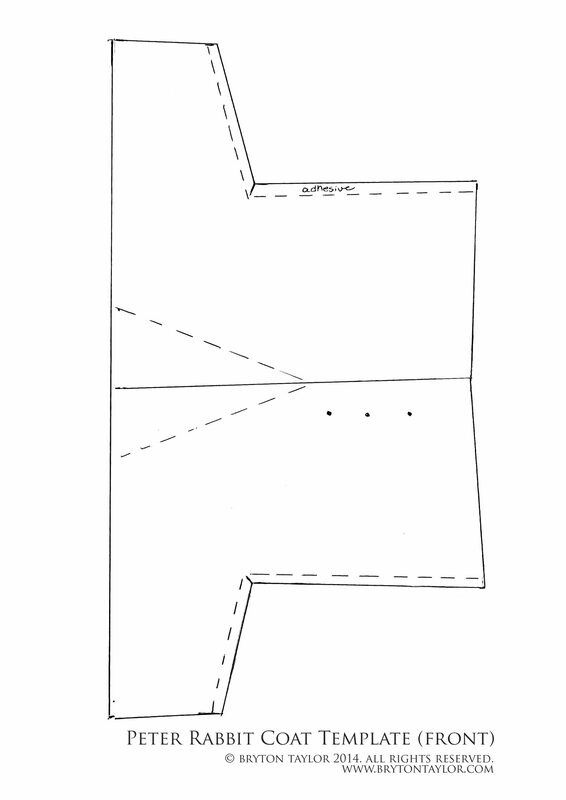 Now, as for the Peter Rabbit coat template, I’ve got three files going on here. The first is in A3 size, which holds the jacket size I created. 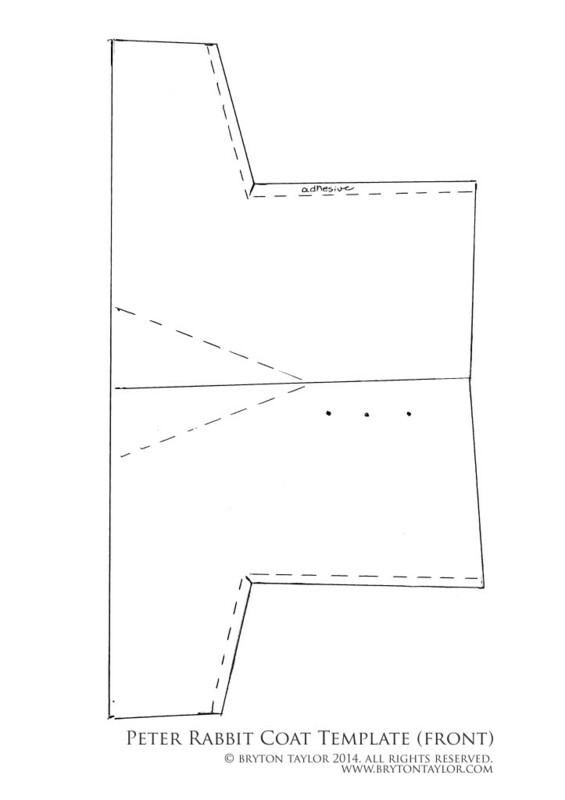 The second file is the same coat size, but the template is split onto two A4 pages (trace them together as you would the A3 design). 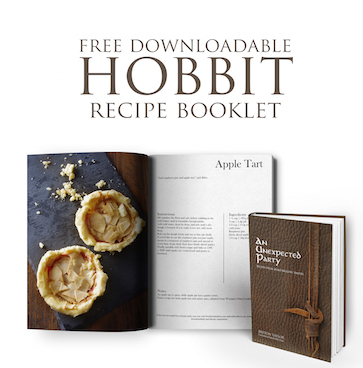 Finally, there’s the A4 design with the template shrunken down to fit. A3 sized Peter Rabbit Coat template. Click for full sized file. 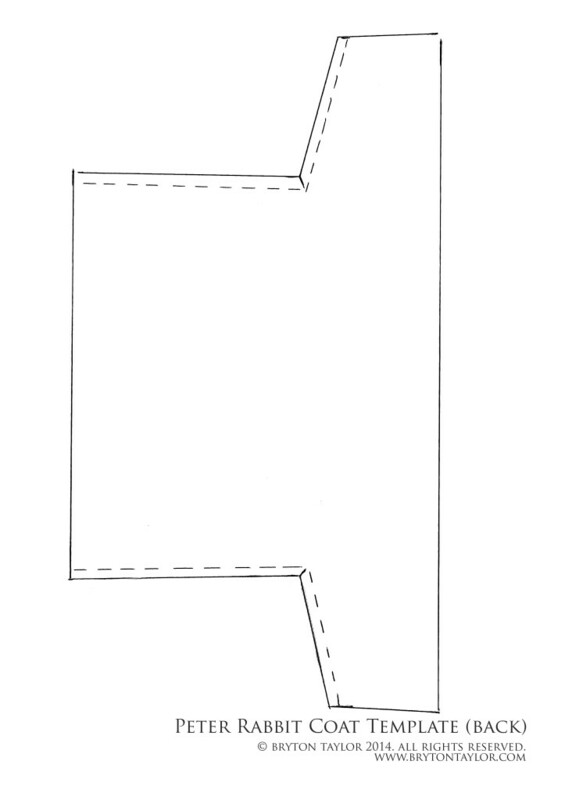 back template for Peter Rabbit coat on A4 page. Click for full sized document. 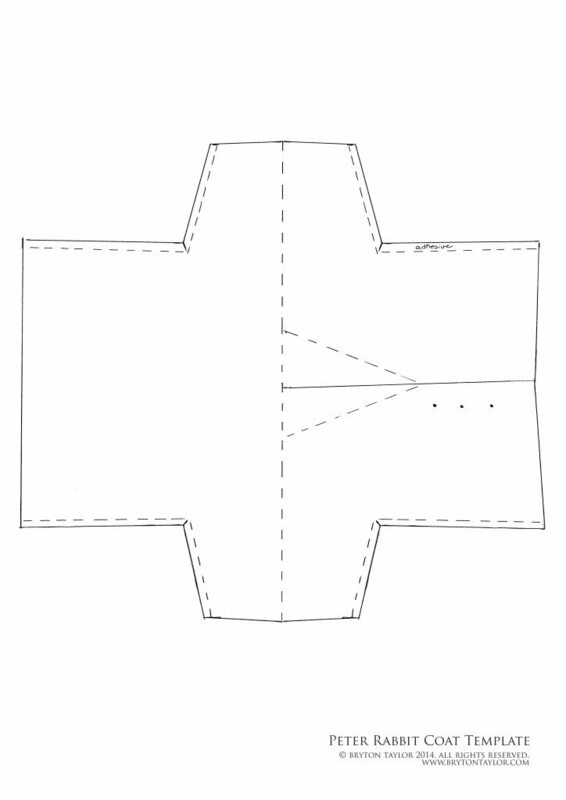 Peter Rabbit coat template resized to fit A4. Click for full sized document. Hi – I want to make an 8-year old girl one of these. Is this pattern for a stuffed animal? This is adorable, by the way. Hi Mari, this template was made for a table display. Thanks for asking!